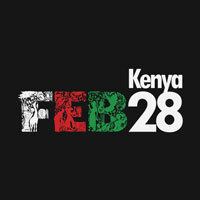 On 28th of February, I will stop what I am doing at 1pm, and together with many other Kenyans, sing the national anthem. For one minute and fourtyeight seconds, I will sing and remind myself of my responsibility to this great Nation to which I owe my heritage. Last year, when we proposed to sing the national anthem, many skeptics were won over when they sang because of the thing that happened to them internally: that brighteninhg of the patriotic glow that happened within them. For that 1:48 minutes, I will reflect on what the anthem means to me. I know thisn for example: that the Kenya national Anthem presents me everyday with such a great opportunity to be a better man. A good man starts out with responsibility to his country, to his society, to his family, to himself. Why? Because a good man (and woman) is fair, just and committed to the good of all around him – not just himself, his kin or his tribe. This is a lesson that was not taught in the eighties and nineties when I was growing up. There were few good examples of this. All we saw those days, was grown ups seeking shortcuts to make things work for us in the face of a system that didn’t work. As I take responsibility for building a better Kenya, then my country will be respected everywhere I go. And I will gain respect among all who know me. Because the reward for responsibility is two-fold: respect and prosperity.